Crystal beads are in use from the immemorial time period by the people from all the religion. The Buddhists, Hindus, Christians and Muslims all use it as a Japa Mala or the prayer beads. Because of its naturally cool tendency, it is an ideal product to wear to keep one cool. 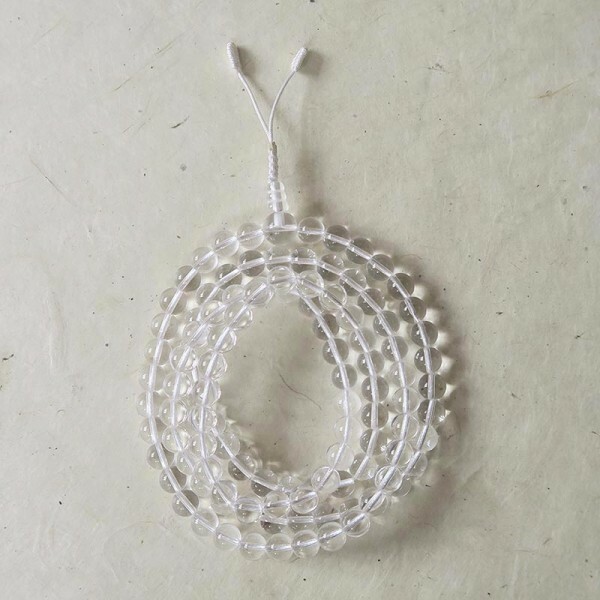 The Mala has 8 mm, 108m beads. Since the product is handmade, No two are alike hence, there can be slight variation in given description and measurement.